Large businesses and corporations are in the habit of forming strategic partnerships with other services. The basic reason behind outsourcing is simple, you want to make life easy for your employees, so they can focus on services they are good. You can’t do everything on your own. This is especially applicable to businesses when they enter their growth phases, making it necessary to beef up their sales efforts by teaming up with third-party services that can capture new leads and help them grow at a rapid pace. Let’s discuss 4 services that you should investigate. 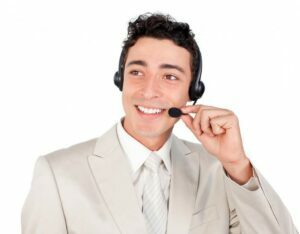 It is expensive to hire a full-time in-house receptionist. You must train them, provide them with office space, give expensive salaries and to top it off, you also must sign them up for expensive benefits. When your business isn’t churning out lots of profit, it can easily eat into your bottom line. Plus, you have the added fear of the receptionist jumping ship to another business. You pay according to your service requirements. This means you get a truly bespoke service package that perfectly sits aligned with business goals, all without breaking the bank either. Modern technology has now connected people with each other over the click of a button. Old brick and mortar businesses that want to remain relevant in today’s modern ecosystem are rapidly integrating social media, keyword optimisation tools and lead generation techniques with their current infrastructure. You can go through people per hour and use the experts when you need them. The internet is constantly evolving, and your team may not have the time or skills to keep up the pace. Instead of spending time learning a new skill, you can ask to get an experienced team to help you meet your marketing goals. The designing of product logos plays an important role in communicating with clients. A dull brochure that lacks colour will not inspire customers into following through with your call to action. This is where you can use the help of a graphic designer, to help you with several features such as books, magazines, blogs, branding, packaging, and leaflets. Good places to search for graphic designers are freelance services such as Upwork and Fiverr. Videos are great at engaging customer. Blogs are not always able to convince customers, even if you’ve used all possible winning arguments to sell a product. The simple answer to this anomaly is dwindling concentration spans of your audience. Most people do not have enough time to scroll through blog posts and articles. Start with outsourcing your video editing needs by hiring freelancers. You can go through Upwork and Fiverr or people per hour to get in touch with freelance video editors. Get affordable, efficient and productive call-answering teams by signing up with telephone-answering.biz. Click here for your 14-day free trial!